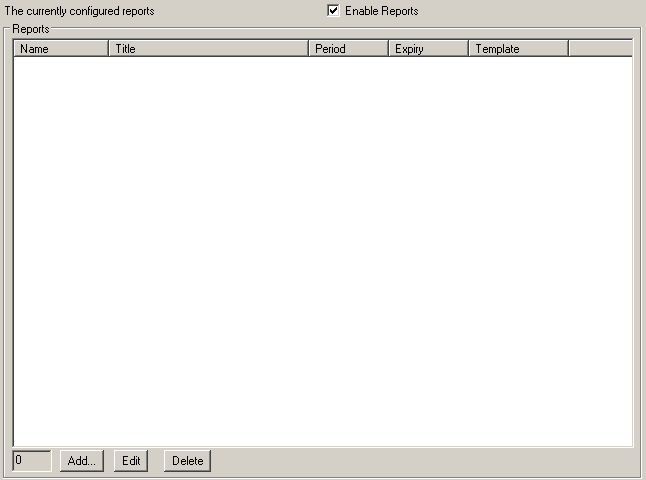 Reports can be generated from a variety of statistics. Reports can run at independent time intervals and use different templates. Each report can have a number of archived issues.